I am inspired by people, art and nature. I am inspired by places I have been, people I've met and I have a passion for nature. It's a most exciting feeling when I can share my emotions and deepest feelings with others through my art, not with words, but by using colors and forms which represent how I feel. Cabochons, delica glass seed beads, rocailles and Swarovski crystal. When I design, first I make quick sketches and then I order materials. When I get a package, I start out with the unusual cabochon stone. I love combining colors of different stones to make a perfect color palette. I am very aware that a piece has to be comfortable against the skin and have perfect balance. 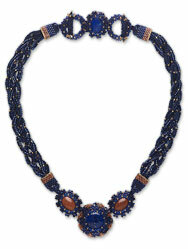 The process of working with beads is meditative and calming. 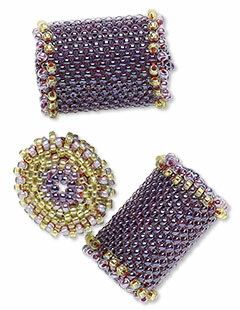 Working with seed beads provides endless combinations, endless possibilities and endless enjoyment. Art has been a part of my life since early childhood. At age 7, I started to study piano and ever since, music is integral part of my painting and jewelry making. After studying music for 7 years, I enrolled in art school and then in a university to major in art and design. I am a self-taught bead weaver. Two years ago, I was looking for jewelry to wear to my upcoming art exhibit, but I couldn't find anything unique and inspiring. 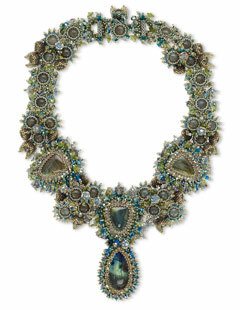 One day, I saw a gorgeous beaded necklace in a fashion magazine, it was ethnic inspired and very unique. I decided that I would like to learn to do something similar. 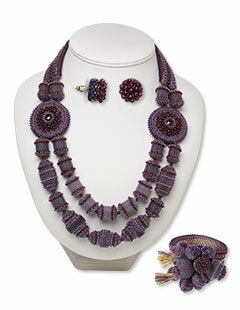 I discovered the medium of seed beads and became completely enthralled. I started looking for beading books and magazines, where I saw a very artistic and creative advertisement of Fire Mountain Gems and Beads. I loved the presentation and decided to try to order some materials. That's how I discovered Fire Mountain Gems and Beads. 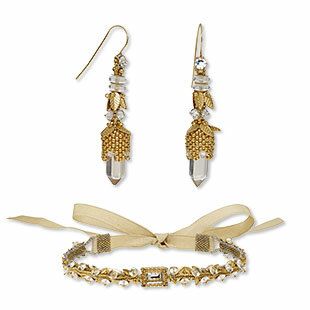 I started creating my own designs with unique combinations of semi-precious stones, good quality gold, silver, metal-plated seed beads, Czech and German glass and Swarovski crystals that are elegant, exciting and different. I sell my creations on my website www.ezartesa.com. To friends and I sell my creations on my website, www.ezartesa.com. Find your own style and be original! 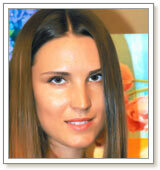 View all of Ezartesa's designs in the Gallery of Designs.